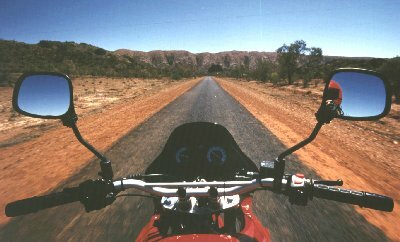 Heading for Corroboree Rock in the Eastern MacDonnell ranges, Australia, in September 1996 on a BMW F650. Contax RTS, Tokina 3.5/17mm lens on Kodak Elite. 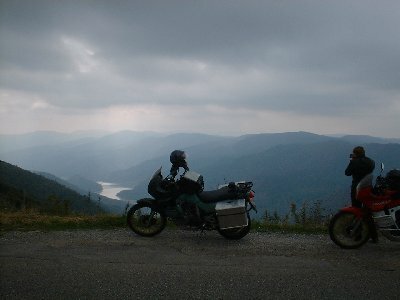 My wife taking a picture of Lac de Kruth-Wildenstein in Alsace, northeastern France. October 2002, Fuji MX-1200 digital camera.